This week’s winery of the week is Cantine Odoardi from Calabria. I first discovered these wines upon my return from Italy to New York. I remember it was the only Calabrian wine I saw in retail stores and restaurants other than Librandi for the first few years. I imagine that is thanks to their enigmatic importer, Jan d’Amore. A lovely guy and apparently a great salesman. I recently tasted the wine again at Opera Wine during Vinitaly. Opera Wine is an event that takes place on the Saturday before Vinitaly starts where the top 100 wines chosen by the Wine Spectator are offered to a selected public. This year Odoardi, along with Agricola Punica, Gianfranco Fino,as well as three additional wineries, joined rankings. In 2013, the Odoardi family celebrated 500 years of grape growing. The family owns land in Calabria’s Cosenza and Catanzaro provinces. Two brothers, Gregorio and Giovan Battista decided to start making wine in the early nineties, using the denominations of Savuto DOC and Scavigna DOC and indigenous varieties. The Odoardi family originally hailed from Germany and settled in Calabria in 1480 in the province of Catanzaro. Their property spans from the Savuto river to Falerna. The vineyards are located at different altitudes, ranging from sea level to over 2000 feet above sea level. They own 270 hectares of which 70 hectares is under vine and produce some 300,000 bottles. The hot Calabrian climate is mitigated on the diverse Odoardi vineyards by the Savuto river and the Tyrrhenian sea. The vineyards are planted with the Calabrian grape varieties of Magliocco Canino, Greco Nero, Gaglioppo and Nerello Cappuccio. 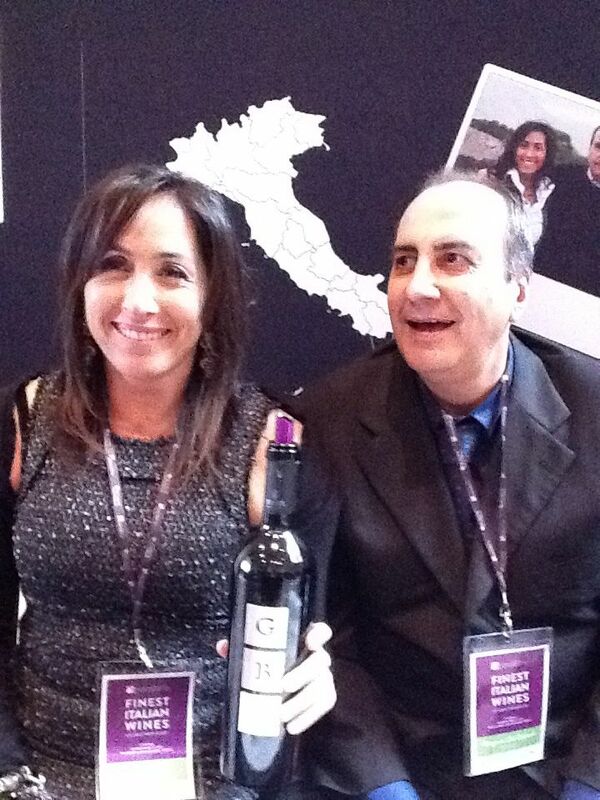 At Opera Wine, I was lucky enough to meet Gregorio Odoardi and his wife Barbara Spalletta. They were lovely and quite passionate. They are committed to furthering the family’s wine making legacy. They made a wine dedicated to a central figure in the family, Giovan Battista (GB). The soils on their properties are also varied, much like the altitude of their vineyards. Some have gravel, others clay and limestone and still others dissolved limestone. 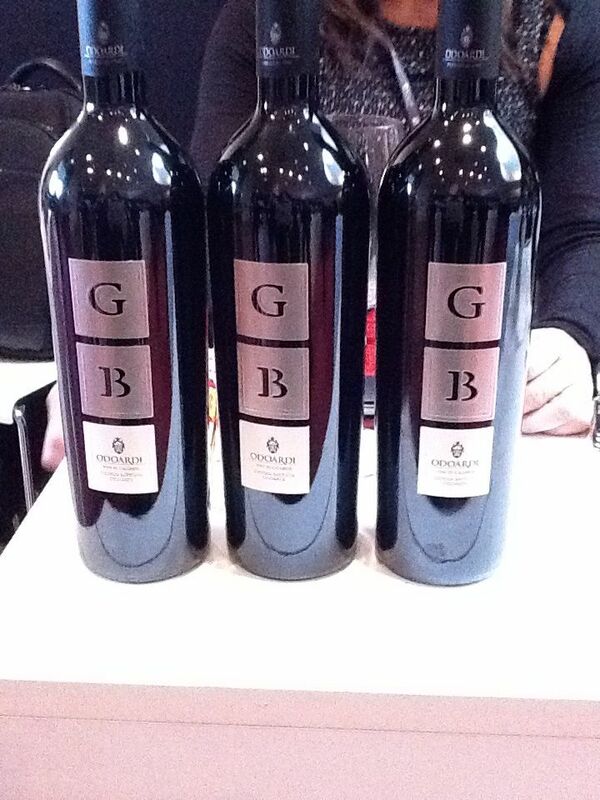 GB is made using a host of indigenous grapes in differing percentages. Gaglioppo, Magliocco, Nerello Cappuccio and Greco Nero are all part of the blend ranging from 10% to 30% each. The blend may vary based on weather conditions and maturation curves during different harvest periods. The vines are very densely planted with 10,000 vines per hectare. The GB 2011 ferments in stainless steel vats and ages in barriques for 12 months after which time, it spends six more months in the bottle. They only make 8.000 bottles a year of this wine. I highly recommend trying this wine or others from the winery when you see them.